Those who desire a family-friendly holiday camping site will be impressed with what is offered at Acqua e Sole. This resort is located on the shores of Corsica and offers an unrivalled sense of peace and relaxation. More details are available by consulting with a representative from LUX-camp. Why Should I Select this Luxury Camping Site? Dogs are allowed throughout the tourist season. The ability to stay in spacious mobile homes. 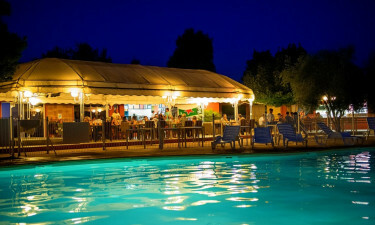 Thus luxury camping resort is located only a few minutes away from Porto Vecchio. One of the many benefits experienced when choosing Acqua e Sole for an upcoming camping holiday is the fact that the weather here is truly gorgeous. 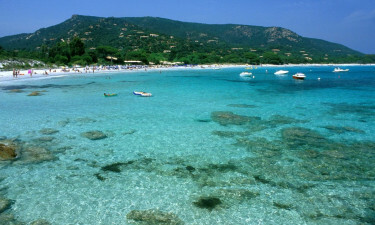 Warm Mediterranean breezes are present throughout the year while Corsica is known for its cloudless summer days. This climate enables any visitor to enjoy the outdoor attractions found quite close to this luxury camping site and during the evenings, temperatures will dramatically cool down. This is ideal for a dinner on a terrace or relaxing underneath the starry skies. What would camping luxury be without access to a large aquatic park? This is one of the features which defines Acqua e Sole. A massive open-air pool will provide fun for the entire family and is perfect for those days when individuals wish to remain closer to their pitch. Other activities not to be missed are table tennis and a playground designed for the needs of young children. A camping holiday is always defined by the number of conveniences that are provided to visitors. Acqua e Sole offers free wireless Internet to every mobile home as well as a laundrette furnished with tumble dryers and washing machines. Barbecues can be rented on a daily basis and power supplies are provided for each pitch. Satellite television service is likewise offered. A quaint restaurant located within this luxury camping site will provide all of its patrons with some truly unique Corsican dishes. For those who prefer to stick with what they know, there is an international menu available for anyone who misses a taste of home. Frequenting a nearby bar will enable anyone to enjoy a glass of chilled wine, a pint of ale or a tasty mixed drink. There is also live entertainment offered during the evenings. Karaoke, music and dances are all not to be missed.